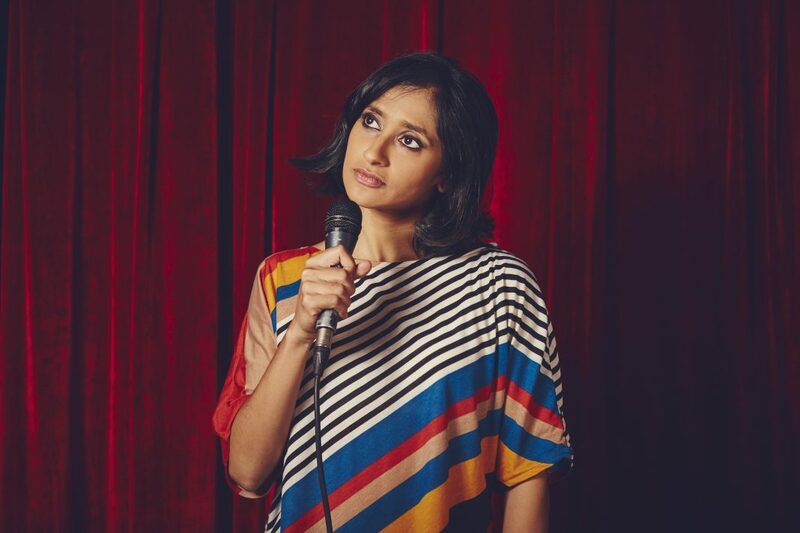 You might have seen Aparna Nancherla performing stand-up, in her role on Comedy Central’s Corporate (which returns for a second season this week), or a turn in fall’s hit film A Simple Favor. But if none of that rings a bell, you’ve definitely seen her on Twitter. The platform suits her humor, which is often wry and self-reflective, and it has gained her a wide audience–more than a half million users follow her at @aparnapkin, and that’s a fraction of the number exposed to her eminently retweetable content. But being popular online isn’t always a comfortable experience. And, while she’s worked to develop a thicker skin for handling IRL hecklers, online critics and trolls can be extra vicious. Setting limits for how many at-replies or nasty comments she’ll acknowledge is part of a process she’s working through to create a healthy, sustainable career. Stand-up can be a particularly raw kind of performance, and traveling around, working the clubs late into the night can be physically exhausting, but Nancherla, 36, is committed to making it work without burning out. Hannah Gadsby’s recent special, Nanette, also had Nancherla thinking about the emotional toll that performing raw, personal comedy can take on someone, particularly as a woman of color who speaks openly about her real-life struggles with issues like anxiety and depression. Despite the challenges, Nancherla continues to make comedy out of confronting the difficult, dark parts of her life. Over time, the topics she’s tackled on stage have broadened–though they remain filtered through her point of view. On Corporate, she plays the savvy head of HR for an Orwellian megacorp; and in her recent performance on Netflix’s The Stand Ups, she talks about dating, how to interpret emoji, and more. Looking toward the future of comedy as a whole, she’s essentially optimistic. And if she were to put what she’s feeling going into 2019 into a single emoji? RELATED: L.A. Comedy Pros Grapple with Booking Louis C.K.